[Circa] A highly decorated Air Force officer is breaking her silence about the disturbing incident that occurred back in 2011 that marked the deadliest attack on Navy SEALS in U.S. history. She claims that Obama’s administration covered up what happened to 38 of our warriors in Afghanistan, when a Chinook helicopter crashed and killed 38 fighters. She says had it not been for Obama changing the rules of engagement of our military to protect Radical Muslim terrorists, that our men would still be alive today. The gunship was ordered to fly close-in air support above Afghanistan’s dangerous Tangi Valley, in Wardak Province, assisting troops with the Army’s 75th Ranger Regiment who were being fired on by eight heavily armed Taliban insurgents. The Rangers had called in for assault helicopters to engage the enemy hiding among the rocky valley. The air weapons team fired on the Taliban fighters, but not all of the insurgents were killed as originally believed. But what should’ve been a routine mission to take out the terrorists never happened because Obama’s generals would not give the gunship permission to fire. She relayed the scene to the ground force commander, but was denied permission to neutralize the threat. Marquez went on to say that the ground commander’s refusal to not allow her crew to take out the two terrorists with their weapons would then seal the fate of those involved in Extortion 17. Meanwhile, a CH-47 Chinook helicopter, with the call sign Extortion 17, was called into the hours-long firefight. U.S. Central Command’s official investigation concluded that a rocket-launched grenade from a Taliban fighter hit the Chinook and sent the helicopter into a downward spin. The crash killed all 38, including thirty Americans and eight Afghans. Seventeen of the U.S. servicemen were Navy SEALs. Months before, SEALs were made famous for the killing of Osama bin Laden. “If we would’ve been allowed to engage that night , we would’ve taken out those two men immediately,” Marquez said. She believes with her whole heart that had her team been given permission to take out the terrorists, 38 warriors would still be alive today. What’s even more insane is that pleas and warnings from her crew to return the Chinook back to base and cancel the mission before the terrorists began firing just fell on deaf ears by the commanders. “Whenever we reached out to the Joint Operations Center, they would essentially just push back with, ‘Find a, a good infill location. Find a good helicopter landing zone,’” said Marquez, adding that by the time Extortion 17 was coming in, everything was mired in confusion. From there, things just got even worse. 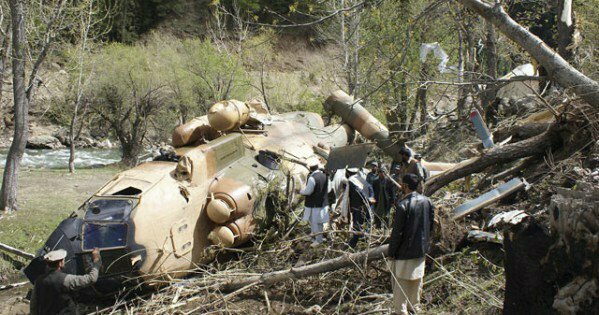 The Chinook was eventually shot down by the terrorists and crashed to the ground. Marquez watched from her infared monitor as one of the Navy SEALS was then ejected from the burning Chinook helicopter. She watched his heat signature fade from red to blue, knowing that she was watching as his life literally slipped away from his body. “We had to sit and watch that, and I think that was one of the hardest things that I had to do,” she said. “That man was, you know, dying on the ground.” Marquez says the pain of living with what happened has taken its toll and she was diagnosed with Post Traumatic Stress Disorder and is in therapy. Her account of that fateful day has been corroborated by the Defense Department inspector general in a previously sealed top-secret report. Her own commander also has verified the story has true. “If we would’ve been allowed to engage that night , we would’ve taken out those two men immediately. I mean, it’s just one of those things where you know that it could’ve all been prevented,” she said, tearing up at times as she recollected that night. 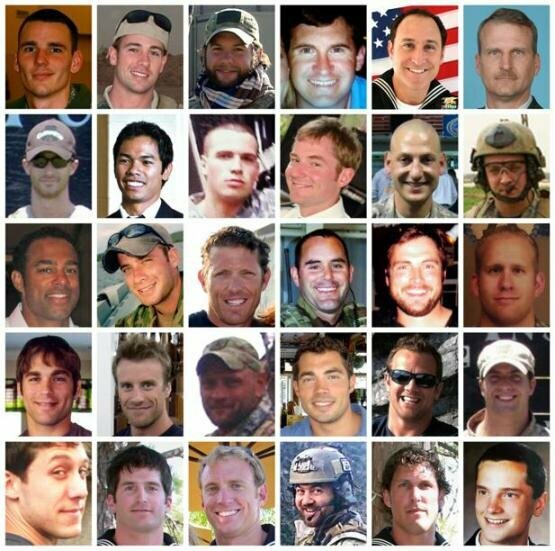 Thirty-eight of our warriors are dead and there is one single person to blame, and that is Barack Hussein Obama, the treasonous POS who sent these warriors straight to their deaths that night. It was because of HIS asinine updates to our military’s rules of engagement back in 2009 that essentially gave precedence to the lives of Muslim terrorists over our own military forces. “Ridiculous rules of engagement that basically state that you can’t shoot until being shot upon. A weapon has to be pointed, and essentially fired at you, in order for you to shoot and you have the proper clearance so that you don’t, you know, go to jail, that you’re charged with a war crime,” said Marquez, who had reached out to Congress, and some of the victims’ families. In the end, Marquez hopes that people will share her story and help expose the truth of what happened that night in the hopes that changes will be made to our military’s rules of engagement that will save lives in the future.